Csaba Laszlo has been sacked as manager of Dundee United following Saturday’s 5-1 hammering at home to Ross County. The Hungarian, manager of Hearts between 2008-2010, leaves with the Arabs fourth in the Championship, five points behind leaders Ayr United. Assistant manager Laurie Ellis will assume the position of interim manager with immediate effect. 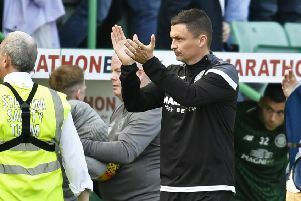 Laszlo took charge at Tannadice in November 2017 – replacing Ray McKinnon – and led United into the play-offs where they were eliminated at the semi-final stage by Livingston. Saturday’s defeat by County – courtesy of a hat-trick from Billy Mckay and goals from Sean Kelly and Josh Mullin – proved the final straw for the club’s board.